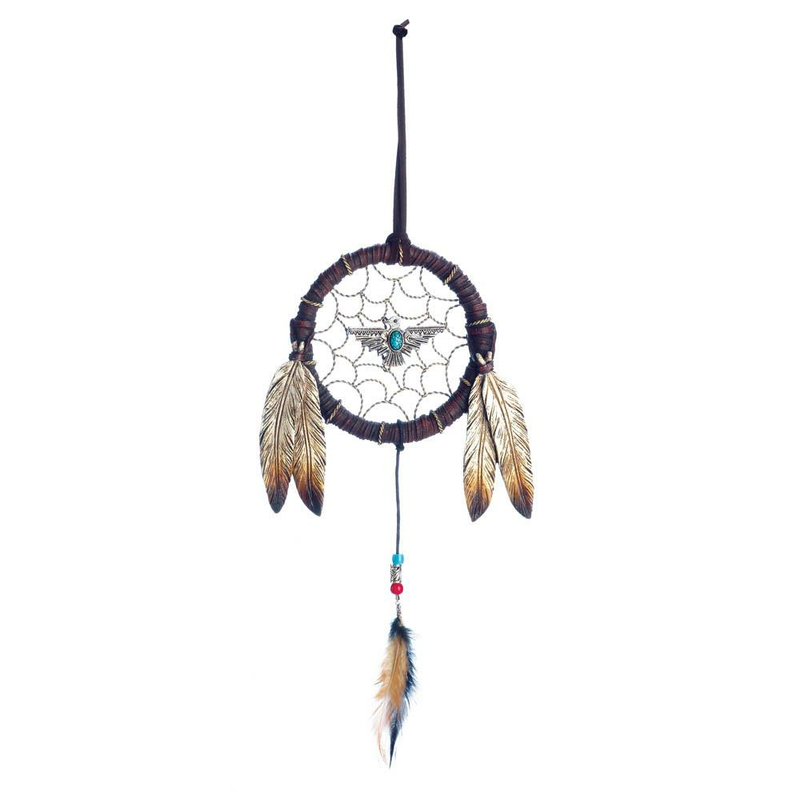 Give your decor a whimsical touch with this decorative dreamcatcher. 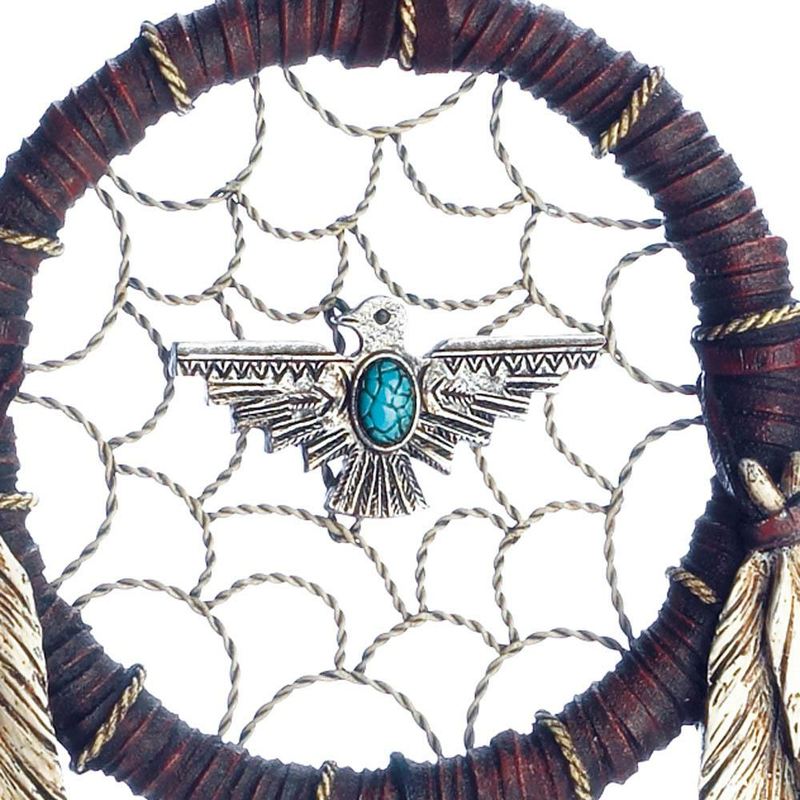 This large dreamcatcher features authentic feather detailing with a striking turquoise eagle charm in the center. 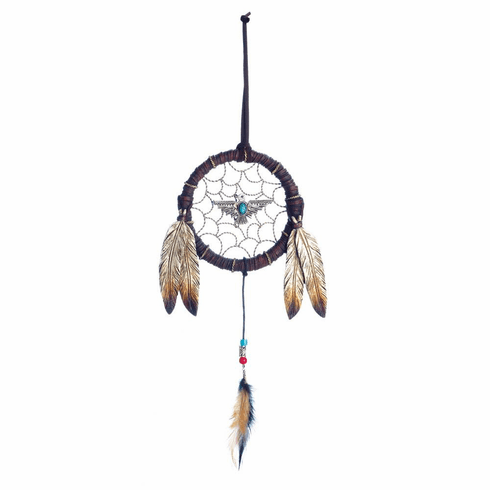 Transform any room into an earthy oasis with this beautiful Native American dreamcatcher designed with faux leather and brushed metal accents. Weight 0.4 pounds. 6.25" x 7" x 1". Polyresin, Polyurethane, Faux Leather, Iron. 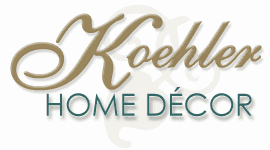 UPC Number: 849179036560.